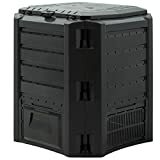 Looking for the right set of compost bins that would look good in your garden in helping you dispose off both compost and other garden waste that may build up from time to time? Take a look at the following list to help you get going. 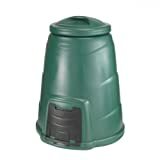 Composter bin with stable hinged lid for easy filling from above, with hatch door. Ventilation openings, dark colour for better heat development. 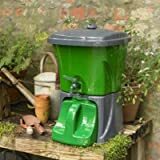 Garden composter for organic household and garden waste. Easy assembly because of easy click system. 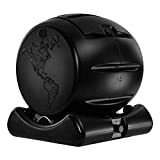 Made of stable plastic material. Dimensions: 380L (LxWxH): 72 x 72 x 83cm. 800L (LxWxH): 135 x 72 x 83cm. 1200L (LxWxH): 198 x 72 x 83cm. 1600L (LxWxH): 261 x 72 x 83cm. 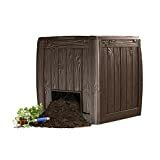 Weather-resistant durable garden compster bin. High heat development inside of the composting unit thereby a quicker bacterial decomposition and better humus. Very easy to assemble. 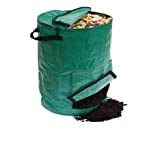 The composting bin is suitable for garden as well as kitchen waste. Simply fill the composter from above. Flap near the ground to remove the humus. Delivered direct from our UK factory to your door! The cutest composter in the world. 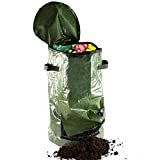 Produces solid and liquid compost. An innovative, all-in-one, outdoor composting system. 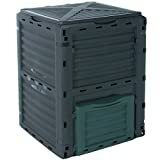 Retains the required heat and moisture for effective composting.